With over 13,000 people in attendance, ComplexCon shut down Long Beach Convention with pop culture enthusiasts on the weekend of November 3-4. This marks the third year that ComplexCon has taken over Long Beach connecting people from around the world who all make up the street culture of today. 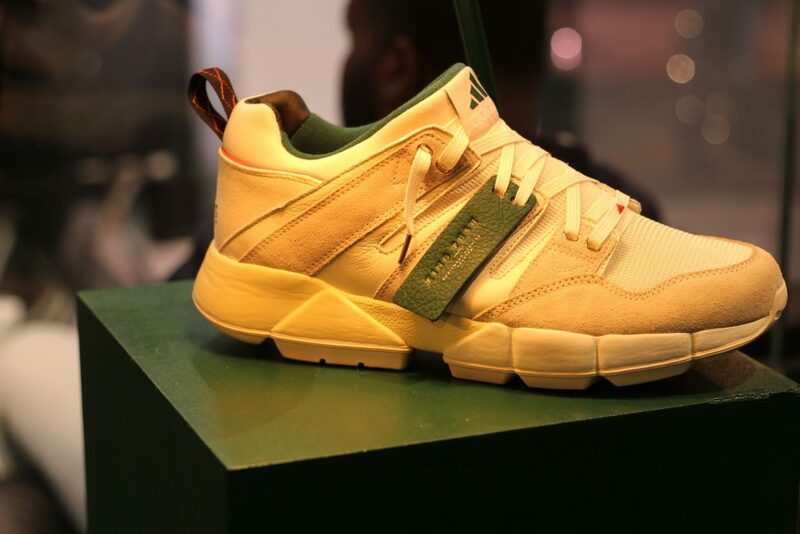 Modern Notoriety was invited by Adidas and 1800 Tequila to celebrate art, music, style, sport, and innovation all under one roof. 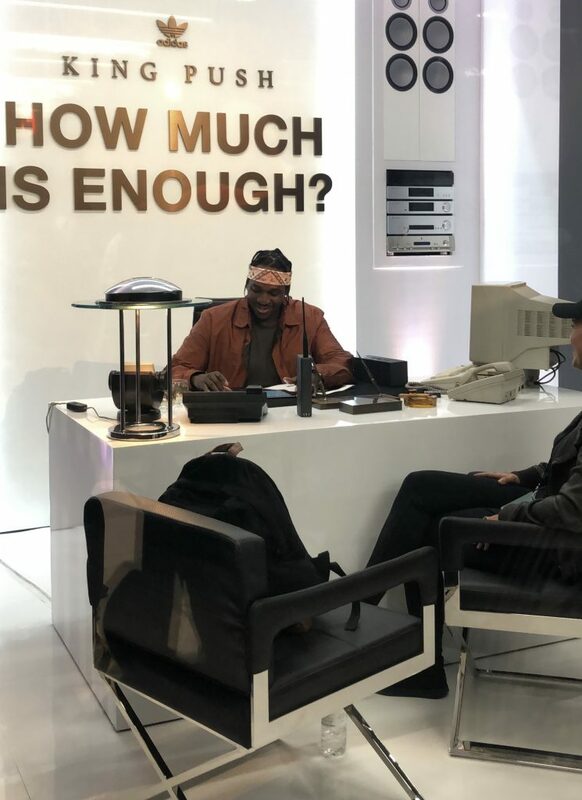 Adidas invited us to their first ever SoundLab where Pusha T sat down with finalists to review their work and select a winner to receive his grant and mentorship. Walking into the SoundLab we were given a unique key that paired to a locker waiting for us to unlock and discover what was inside. We quickly located our key to its correct locker and discovered Adidas merchandise inside! Moving through the SoundLab there was a unique, glass room where Pusha T sat individually with his selected finalists. The dialogue happening between Pusha T and each finalist was an exclusive experience to witness. 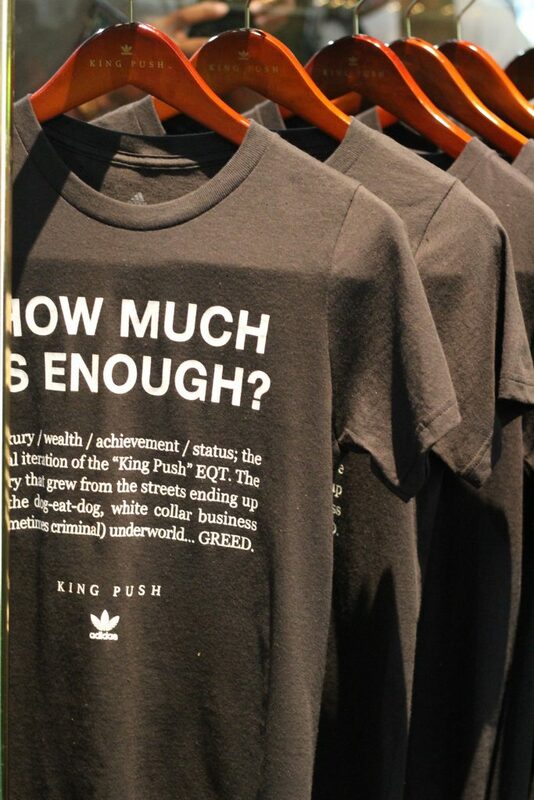 Showcased in the Adidas booth was its limited edition EQT collaboration with Pusha T and exclusive t-shirts that read “HOW MUCH IS ENOUGH?”. From Adidas’ SoundLab we quickly rushed over to the 1800 Tequila booth where we found a unique art experience taking place with artist Adam Lucas and streetwear designer and owner of Diamond and Supply Co., Nicky Diamonds. 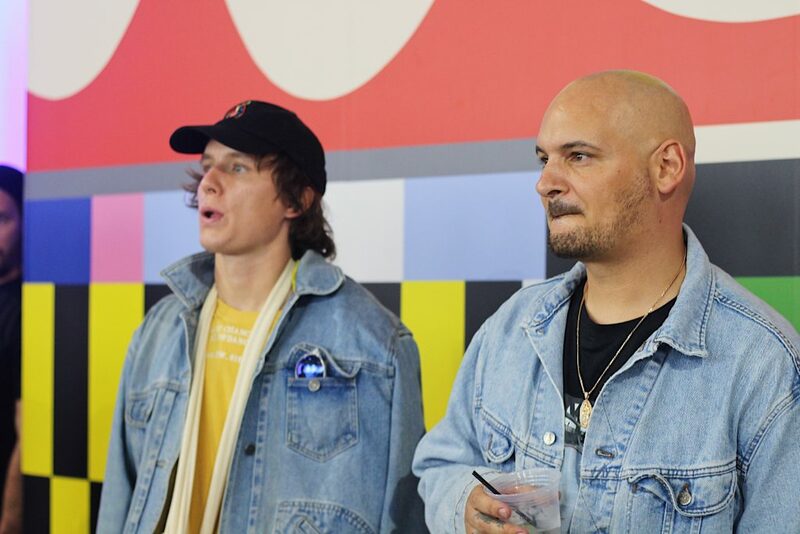 The two artists teamed up to bring an experience to ComplexCon attendees giving them a chance to customize a one-of-a-kind denim jacket with patches and pins designed by Adam Lucas. We received a special invite from 1800 Tequila to participate in the customization and after interview Nicky Diamond who was hanging out in the booth. While customizing our denim jackets, 1800 Tequila booth had a live DJ and open bar for us to sip speciality cocktails on! On display in BBC booth were the N*E*R*D Human Races, Pharrell William’s collaboration with Adidas being sold exclusively at ComplexCon. 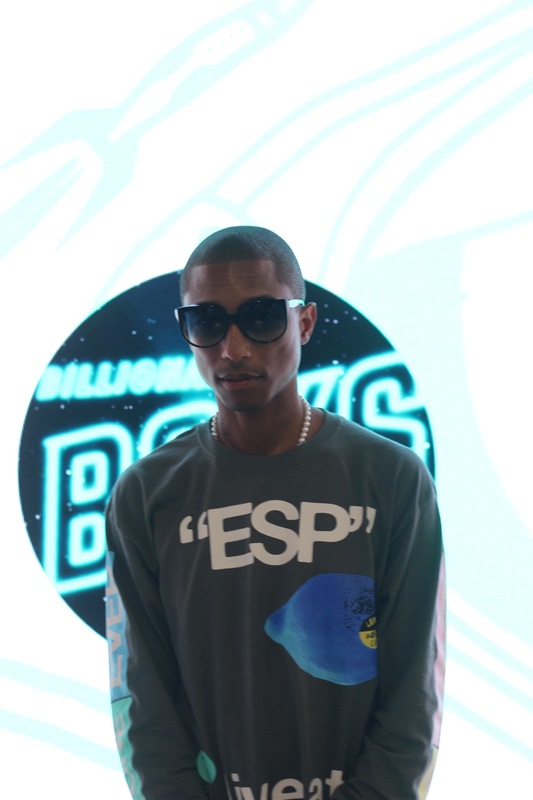 We met in the BBC booth to cover artist, Pharrell Williams while he had a meet and greet with the individuals who won a lucky, golden ticket when purchasing Pharrell’s new book A Fish Doesn’t Know It’s Wet. While this started as a media opportunity to capture content of Pharrell we ended up meeting Pharrell shortly after as he hung around the BBC booth after to talk to friends and family. ComplexCon ended day one with performances by Rae Sremmurd who brought out Tyga to perform his song, Taste. People filed into the open theatre to catch the performance that ended day one of ComplexCon. Walking into day two at ComplexCon we were anxiously stopped by Takashi Murakami’s presence at the main entrance. Both days at the opening of ComplexCon, Murakami was posted taking pictures with fans where we were able to get some great shots of and with Murakami himself. 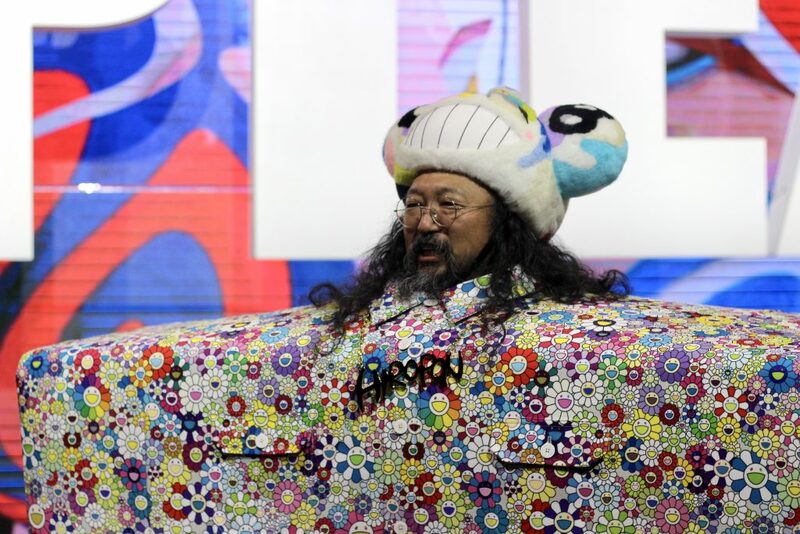 Murakami put his own spin on Kanye West’s blocky costume from the “I Love It” Challenge as it was decorated in his flower artwork. Like last year’s ComplexCon their was several celebrities in attendance. Walking through the Long Beach Convention Center was a great opportunity to catch celebrities like Victor Cruz, NAS, Pusha T, Teyana Taylor, and many other celebrities passing their way through booths. We walked side by side NAS as he walked into HBO’s pop up barber shop where he was getting a haircut and talking on the mic to the attendee’s. We also spotted Teyana Taylor as she was approaching the Guess x Place + Faces booth to shop the booth. Wrapping ComplexCon’s third year in attendance at Long Beach Convention was performances by Lil Baby and Future. We left 2018 ComplexCon with new networks, free merchandise, and an experience that cannot be replicated.